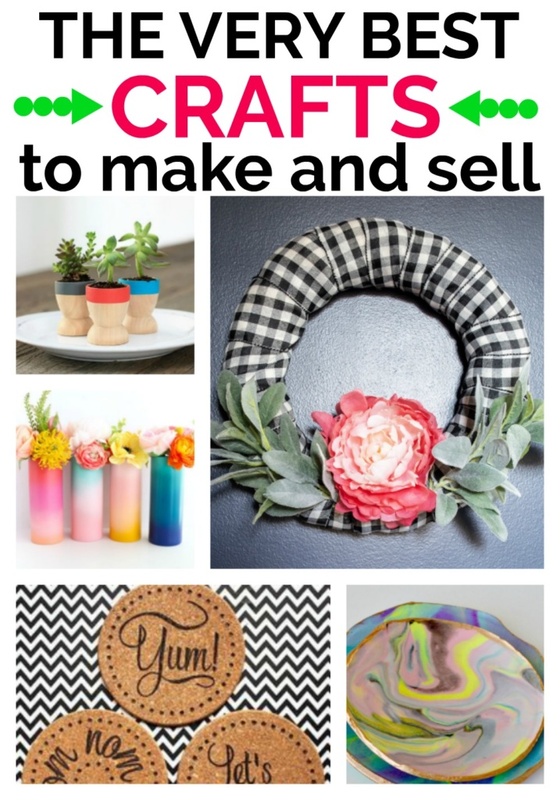 13 Awesome Crafts to Earn Some Extra Cash! If you’re going to sell your crafts, then you want to be sure what you are making is quality. Many of these crafts I’ve made myself so I know how well they hold up. Others are made by established crafting bloggers that I trust. You also want to go for projects that are unique. People like to buy crafts because they are one of a kind. Anything that is hand made is unique, but choose bold projects that will really stand out. I’ve made these Sharpie & Alcohol painted tiles many, many times and they never get old. If you add some felt to the back and you make sure you seal them properly, these make great coasters and would be great at the craft fair. I’ve seen similar tiles on Etsy as well. So if you’re not an in person sales type of crafter, you could always try selling on Etsy. The materials here are mostly inexpensive. The tiles are .33 cents at the hardware, Sharpies are maybe $12 for a package. If you go with the felt on the bottom route, you’ll need to figure that in. The most expensive part of this project will be sealing them. You’ll want to go with the resin seal and that is around $13 per 2 sq ft covered. A pretty front door wreath is almost universally loved. It should provide you with a pretty wide audience. 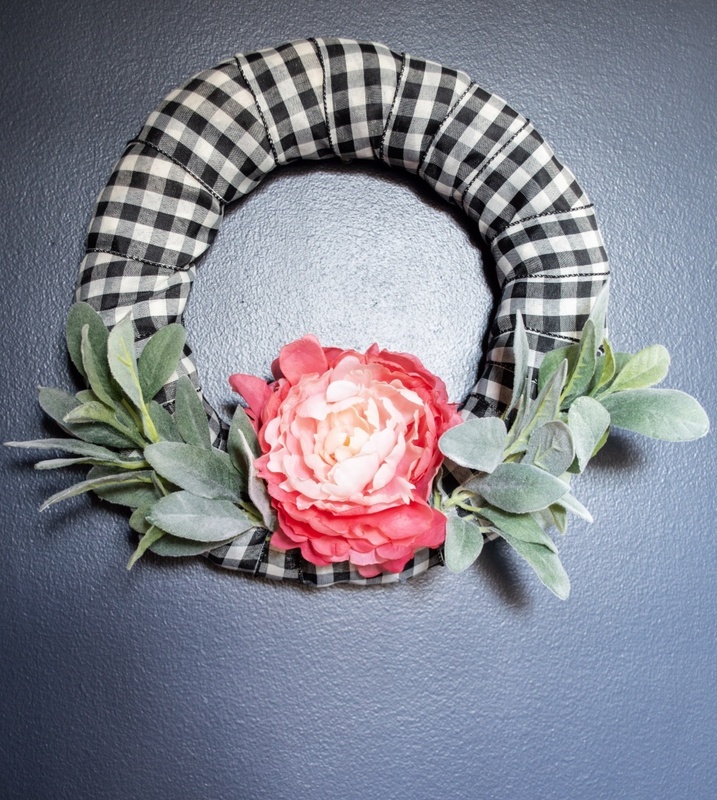 This wreath takes less than 30 minutes to make (way less). You will want to be careful about the prices of your materials. Coupons and buying in bulk with help keep the cost of your wreath down. You can actually buy wreath forms from Dollar Tree for, you guessed it, One Dollar. I have lots of inspiration for wreaths in this post on Spring Wreath ideas. 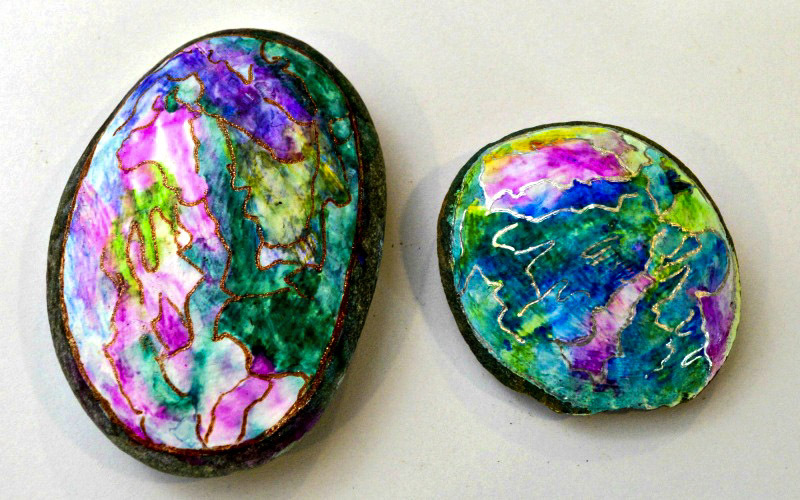 Pretty painted rocks would be a great addition to your craft both. These are super simple to make and the rocks are free so it’s not hard to keep costs down on this project. 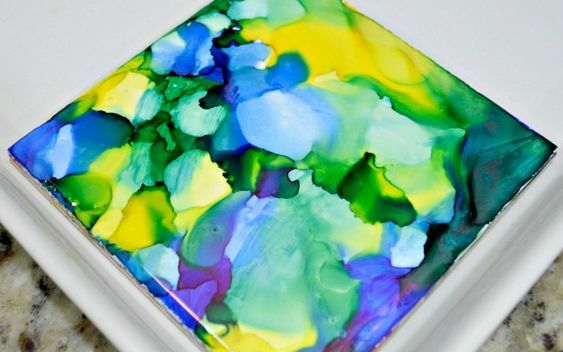 These are unique, small pieces of art that people can carry around as a worry stone or keep on their desk as a little relief for their eyes from the screen. The rocks above are done with the same sharpie and alcohol technique as the coasters above and also some gel pens for the outline. I’ve got a whole post of painted rocks inspiration, too. 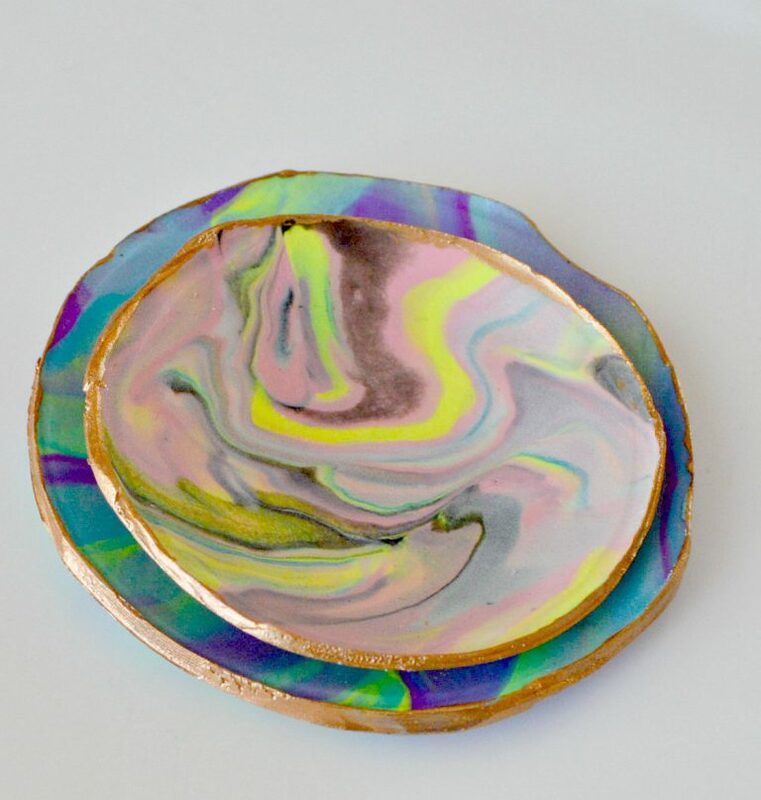 These marbled clay trinket dishes are a cinch to make and only require some Sculpey clay and a bit of craft paint for the edges. You will not believe how easy these are to make. You can make them in any variety of colors your heart desires. They are so cute and useful, too, which is a win in my craft book. 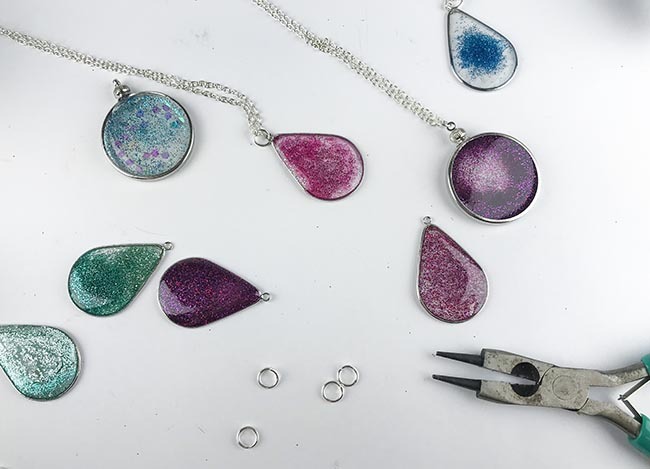 These glitter pendants from The Clumsy Crafter would definitely be a hit at the craft fair. They are modern looking DIY jewelry and you can easily customize the colors depending on which color glitter you choose to use. Resin takes some time and there’s a bit of a learning curve with it, but it’s defintely worth it when this is the result! Sometimes boys get left behind when it comes to crafts. But, I bet the moms of boys who visit the craft fair would love to have something to bring home to their sons! 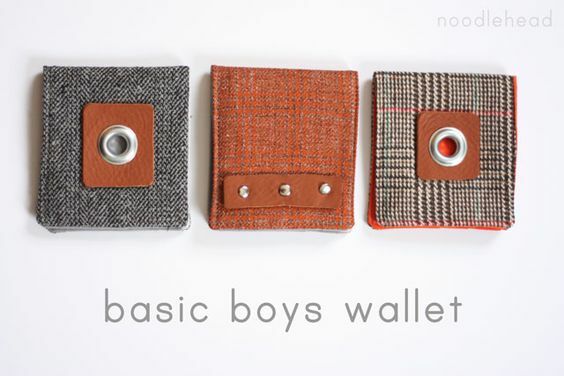 These boys wallets from Noodle-Head are so classy looking. I love the old school fabric combined with the metal details. If you’re handy with the sewing machine, try these! 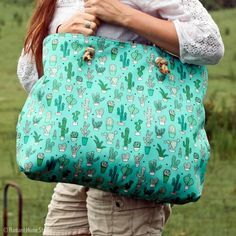 Who doesn’t need an extra large bag for the beach? Or the flea market? Or perhaps even to haul all the stuff you bought at the Craft Fair? These beach totes from Radiant Home Studio are beautiful, useful and totally customizeable depending on the fabrics you choose. Bright and poppy will catch the eye of the dazed craft fair attendee. 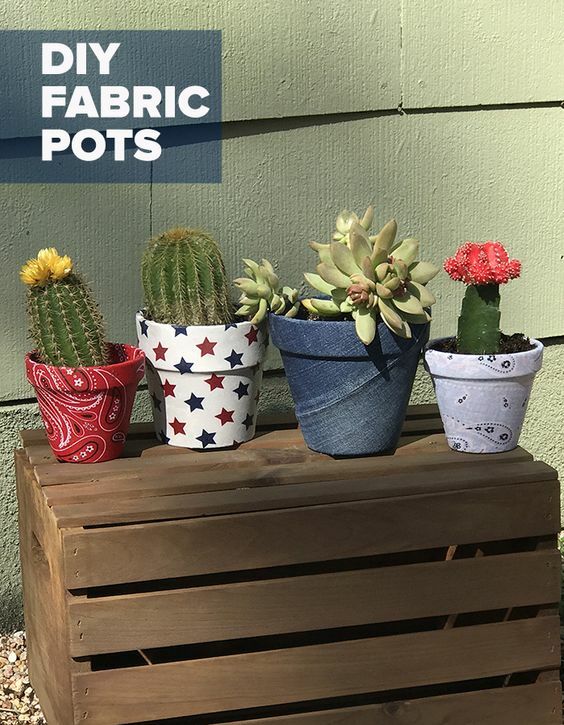 These fabric covered pots from DIY Joy would do quite well at a Spring or Summer Craft Fair. They’ve got the pretty and useful going for them and they are quite unique as well. Choose the right fabrics and your booth will definitely stand out. If fabric from the fabric store is too expensive, you may want to try the thrift store. Look for large shirts, dresses, anything with enough material. Actually, for the fall, a pot covered in a plaid shirt would be great with some mums. Home Made Modern has come up with the most genius idea on this list. 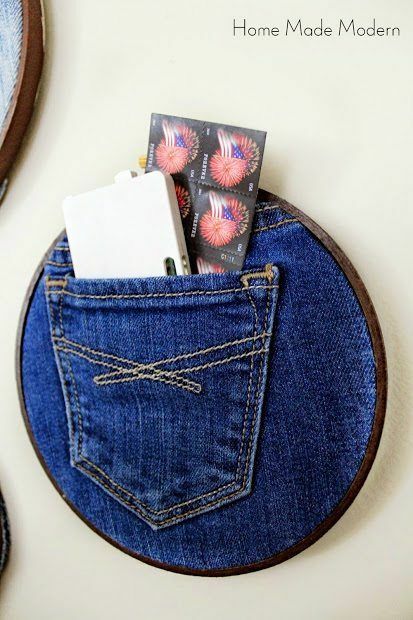 A denim pocket for wall storage. This is completely brilliant. A great way to upcycle your worn out jeans and make them useful again. If you’re going to sell these at the craft fair, you’ll want to hit up the thrift store on one of their “specials” days and grab a bundle of cheap jeans. Here’s a wonderful example of a handmade item that would do well at the craft fair. These hand painted, dishwasher safe dishes from Delia Creates will capture the craft fair goer who is trying to see past all of the bright colors. 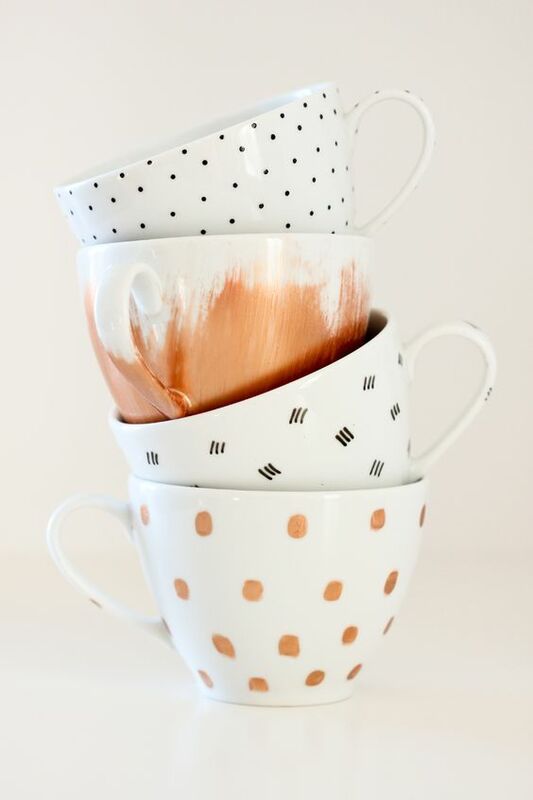 These dishes are precious and completely unique. Which tells me you can charge a bit more for these. You might pull in a smaller audience, but they right people will be ready to open their wallets for these. Succulents are a HUGE right now, so you automatically are going to pull in the succulent lovers with this cute craft from Live Laugh Rowe. 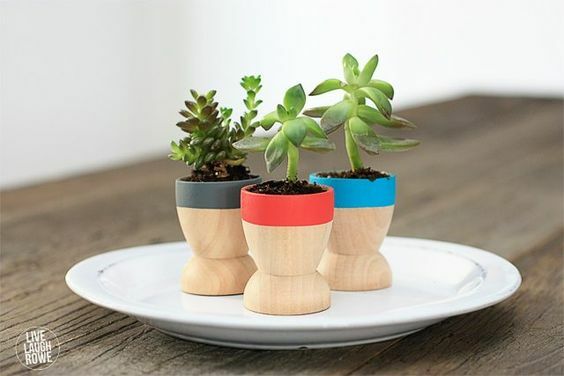 But it will be the pretty, poppy planter that gets them to buy. I love how it’s often the simplest things that draw you in the most. I want to make a 100 of these and then keep them all to myself. If you’ve never done a wood burned project before, you should. I made wood burned ornaments a while back and they are one of my favorite projects ever. The smell of the burning wood along is enough to make me want more wood burning projects. 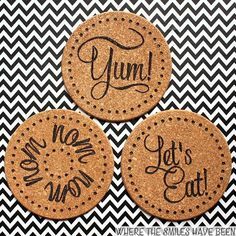 These wood burned cork trivets from Where the Smiles Have Been have great potential for the craft. They are cute and useful and the blank trivets are from Ikea and pretty cheap. 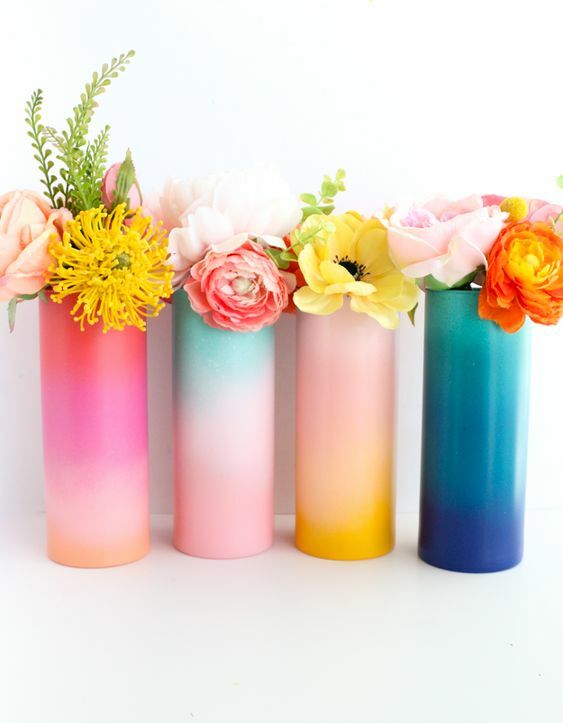 These beautiful vases from a Kailo Chic Life are just beautiful. And of course useful and unique. I was surprised to see that you can achieve this look with spray paint, which you can generally find for fairly cheap at the hardware store. These are definitely eye catching. Well, pick out one or a couple and start making! I’d love to hear how you do at your local craft fairs or if you choose to sell on Etsy. Which is your favorite? What have I missed on this list that you make and sell? Drop me a message in the Comments section and let me know!